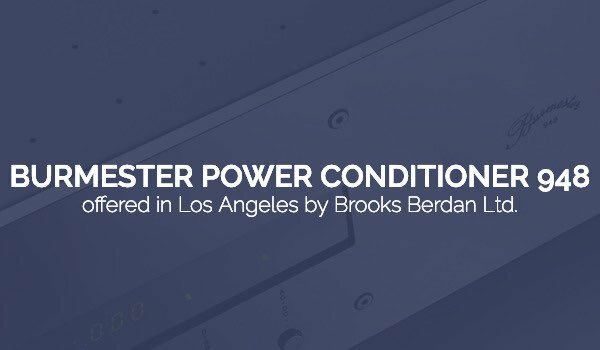 Burmester Power Conditioner 948 – Brooks Berdan Ltd. 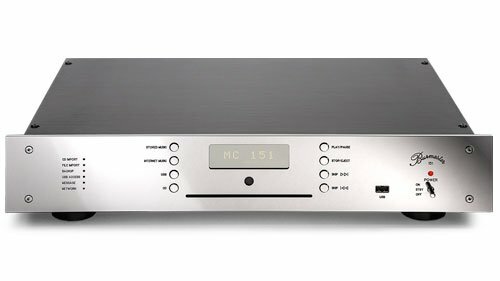 The Power Conditioner 948 is one of our most innovative products. It is the result of our many years of basic research. For the method of power conditioning applied in the 948 we were awarded a world patent (No. 44 26 721). The power conditioner is one of our most successful designs with sales to prove it. It’s outstanding qualities are recognized internationally. 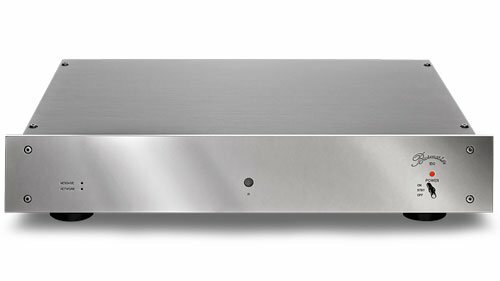 The U.S. high end magazine the absolute sound classified it as a four star component and wrote: "The 948 is incomparable and in a class by itself." Increasing noise pollution in our power lines renders the AC voltage (nominal 120 volts, 60 Hertz) that comes out of our wall outlets one of the weakest links in the high end audio chain. Who has not experienced the phenomenon that a music system doesn’t sound as good between six and ten in the evening as it does at midnight? The reason: The power that flows from the wall outlet at midnight is much cleaner than that of a few hours earlier. What causes this effect? 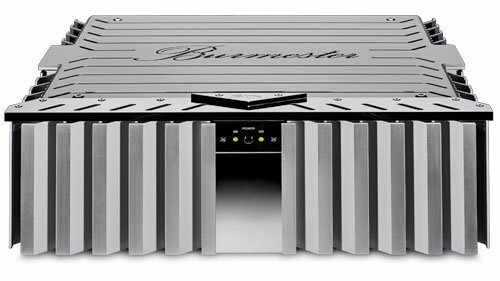 Burmester Audiosystems identified after some basic research a noise component in the power supply that is solely responsible for the sound deterioration. We measured a miniscule direct current of a few millivolts in the AC voltage. Not only was this DC component not supposed to be there it also varied it’s strength over time. As it increased the sound of the system got worse. Available line filters did nothing to deal with this kind of line pollution. This is too bad because a few millivolts of DC are enough to drive amp transformers of any brand to the saturation point which becomes audible as transformer hum. 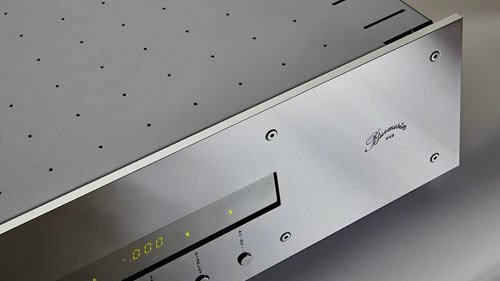 As is widely known, the pure-bred transformers of high end-amplifiers are particularly susceptible to DC components in the power supply. The power conditioner 948 functions unlike any other line filter on the world market. 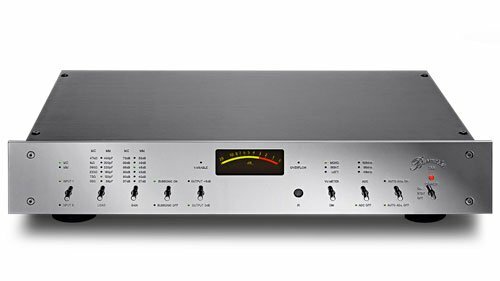 Basically, the 948 is a 500 W power amplifier that works in parallel with the AC power supply and compensates as an active system any DC components in the 120 volts AC from the wall outlet. With common passive filters this would only be possible at the price of deteriorating sound. The active DC suppression works on all eight outlets of the 948 and it can be switched on and off. The power conditioner 948 measures the mean value of the supply voltage and adjusts it to zero by putting additional load onto the larger half-wave. In other words it assures that the voltage drop in the system is identical for the positive and negative half of the wave cycle. Hence, transformers no longer have to cope with direct current and stop humming. It is important to note that the power conditioner works in parallel with the connected audio components and thus avoids an undesirable damping of the voltage supply. 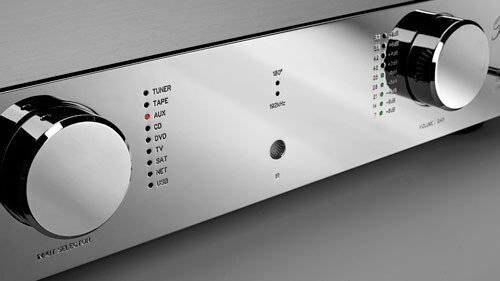 This circuit logic is unique on the world market and has been patented by Burmester Audiosystems. AND HOW DOES IT SOUND? 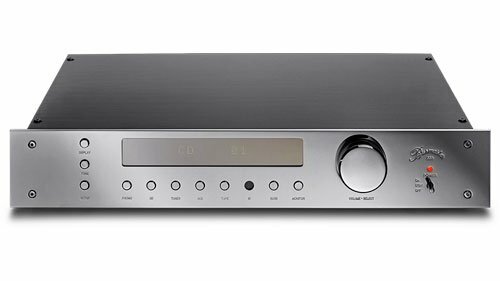 A power supply corrected by the power conditioner provides the connected audio components with clean and even voltage. The result is a totally open sound. There is more air around voices and instruments, large orchestras and choirs sound natural and unstrained– even at high volumes. The tonal balance of music becomes sweeter. This improvement, of course, is independent of the time of day. With the 948 an audio system sounds as good all day as it normally sounds only way past midnight, when no spurious loads pollute the power system. 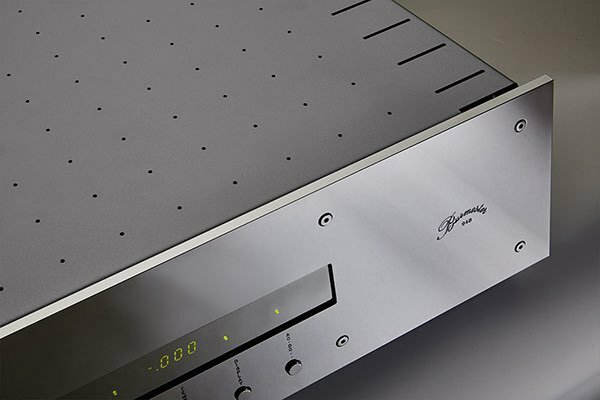 We recommend visiting your authorized Burmester dealer and trying a 948 out for several days. It will improve the sound of any brand of audio equipment. It’s outstanding sonic qualities have earned the 948 recognition worldwide. The absolute sound awarded it four stars and wrote: „Incomparable and in a class by itself..“. Many editors of audio magazines around the world use the 948 as an important tool. WHAT DO OTHER POWER CONDITIONERS DO? 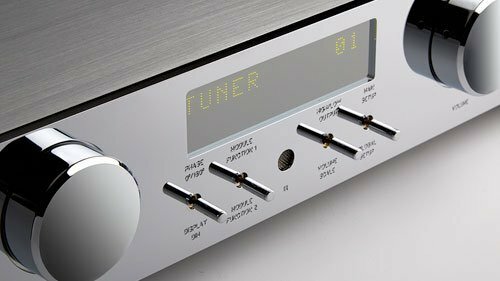 Many competing products try to keep line noise away from high end audio systems by stabilizing the voltage or synthesizing the supply system. However, this can easily compound the problem by destroying the low resistance of the voltage supply. 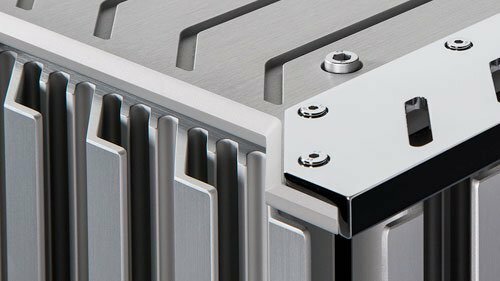 Only a low-resistance system can supply large amounts of power in the shortest time. Higher resistance limits the overall power of the connected components. This leads to a limp bass reproduction, for example. The 948 avoids this danger altogether by functioning in parallel to the supply system, meaning that the power does not flow through the power conditioning section. The 948 does not work in series with the connected audio components, it effects the voltage supply from the outside, so to speak, without impeding or limiting it. The 948 is not designed to stabilize the voltage supply, which would make little sense anyway because most high end components have their own voltage stabilizers. Common power filters based on the isolating transformer principle oftentimes only limit parasytic RF noise above 100 kHz. Also, they work in series with the connected components and limit the power flow, thus, are not usable for power amplifiers. The two RF line filters of the 948 kick in at very low frequencies (-6dB at 2000 Hz).